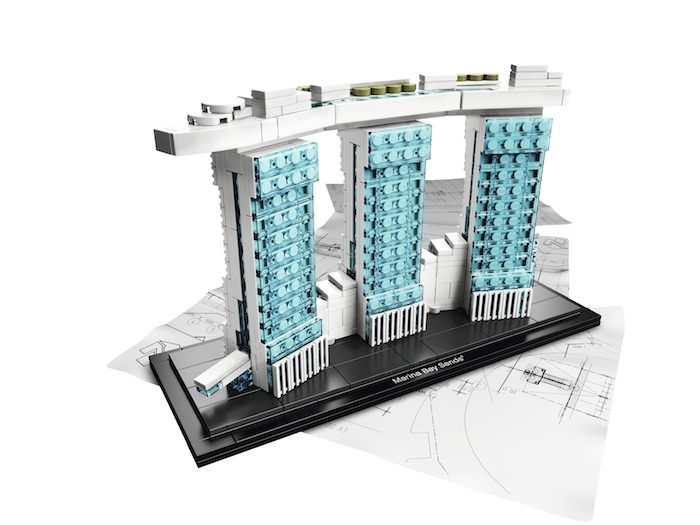 The humbling three tower, 57-floor Marina Bay Sands by architect Moshe Safdie is the latest architectural icon to be showcased by LEGO Architecture. 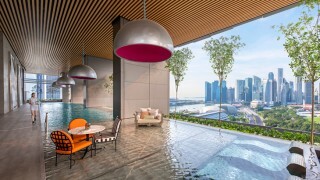 The showpiece of Singapore’s harbor has been immortalized in LEGO’s tiny building blocks after its online poll named it one of the most inspiring contemporary structures. 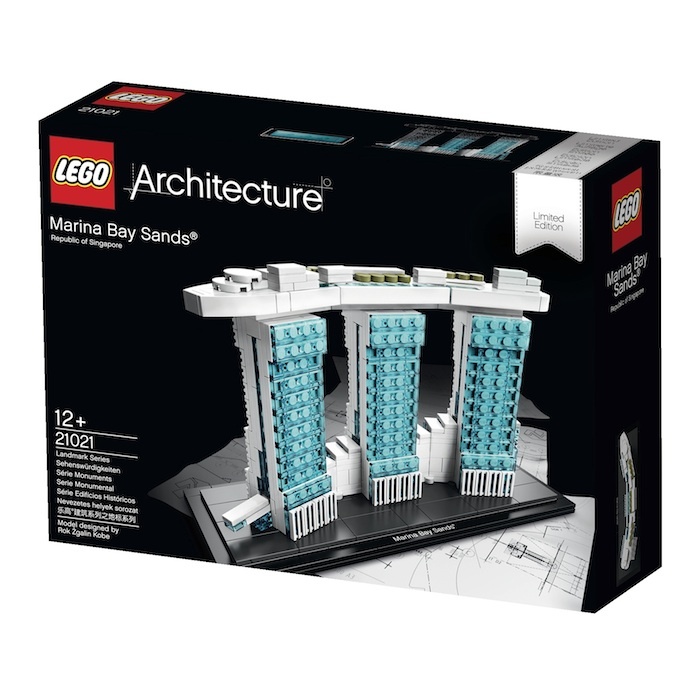 LEGO’s architecture series highlights famous landmarks and visionary structures including Frank Lloyd Wright’s Falling Water and Imperial Hotel, the Sydney Opera House by Jørn Utzon, and the Burj Khalifa by Adrian Smith of Skidmore, Owings, and Merrill. 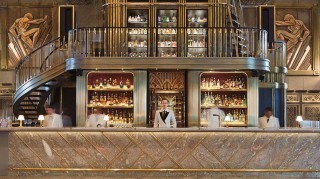 While LEGO blocks may be seen as a childhood toy, the architecture series is meant for anyone who appreciates design or has a personal connection with the place. The Marina Bay Sands model is available at the Marina Bay Sands’ hotel gift shop, Singapore’s ArtScience Museum Shop, and selected LEGO retailers in Asia.